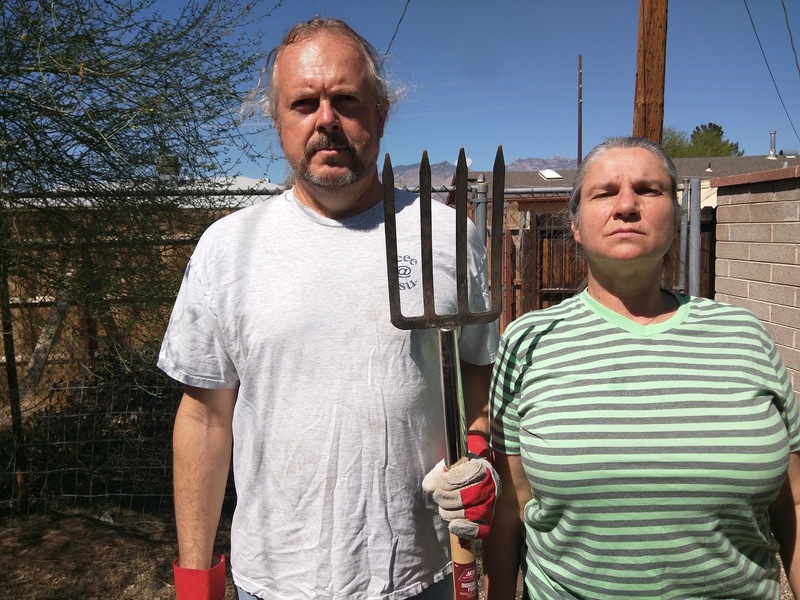 Sustainable Living Tucson: What? Spring already? Time to plant! Today was the first day of Spring. 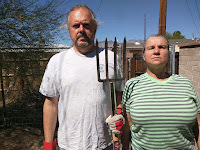 And, while it's really feeling like Summer already, it's time to start thinking about the first of the two major planting seasons we have here in the Sonoran Desert (the other being the late Summer Monsoon season). One problem many of us have here in Tucson (especially those of us who aren't native Arizonans) is figuring out what kinds of plants will do well here in our arid climate and when we should plant them. Not to mention, where can we get seed for plants that thrive here in our desert home? The Burpee catalog may be fine for the East Coast, but it's not much help to us here in the Old Pueblo. With the vernal equinox rapidly approaching, Jana and I looked at the Seed Library listings to see what we could plant this weekend. 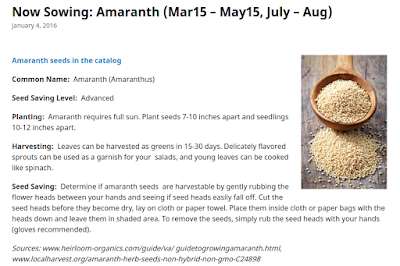 There were a lot of good choices, but we settled on a plant that has been much reviled, but that we've been fascinated with: amaranth. Amaranth was a staple of the Aztecs and was bred for consumption by indigenous peoples throughout the Americas in the precolonial era. Like quinoa, amaranth seeds are considered a "super food" because of their high nutritional value. When the conquistadors conquered modern day Mexico, they banned the growing and consumption of amaranth because of its connection to Aztec religious ceremonies. But, fortunately, many varieties of amaranth have survived. The variety most common here in Baja Arizona is Palmer Amaranth - often called "pigweed" or "carelessweed." 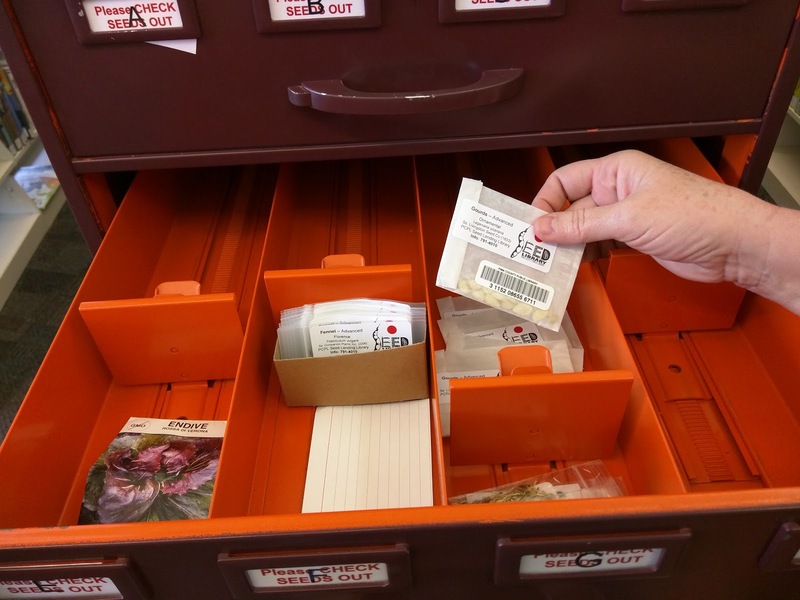 To farmers in Arizona and to the Arizona Agricultural Extension, it's an undesirable weed and they have been seeking (largely unsuccessful) methods of eradicating it. 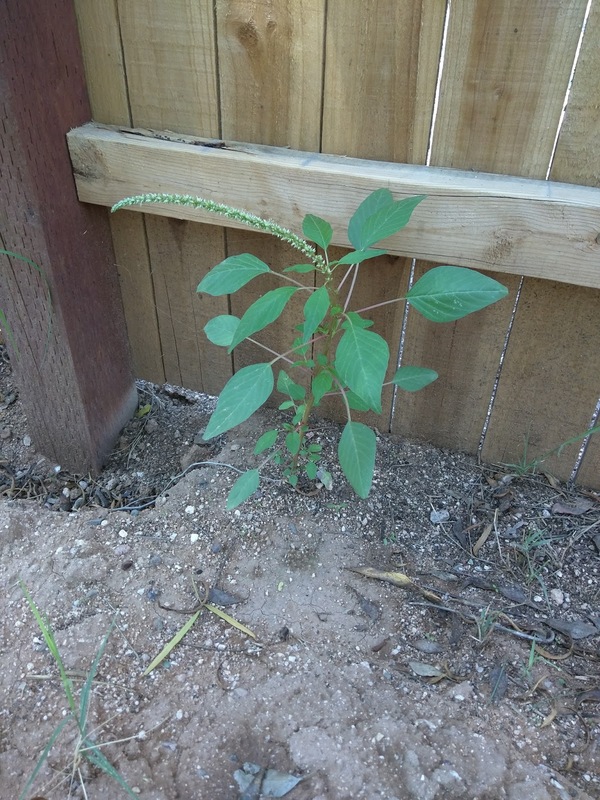 However, the Tohono O'odham prize the young amaranth leaves as a delicious Spring desert green and collect the seeds of the mature plants to use as a grain. Though small (about the size of poppy seeds), Palmer Amaranth seeds can be roasted, ground, or used in much the same way as poppy seed. 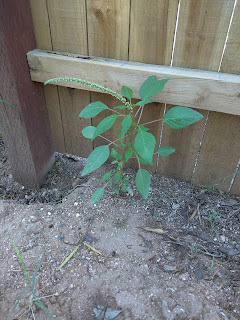 Last year, we transplanted some of the neighborhood amaranth into our garden in hopes of getting some young plants that we could harvest without the worry that they had been sprayed with an herbicide, but, unfortunately the weather didn't cooperate and our second crop of amaranth never came in. This year, we thought we'd try our hand with some of the cultivated varieties of amaranth, so we got some amaranth seed native to a variety of locations: New Mexico, Mexico, and Guatemala. There is a part of our garden that hasn't been cultivated before. 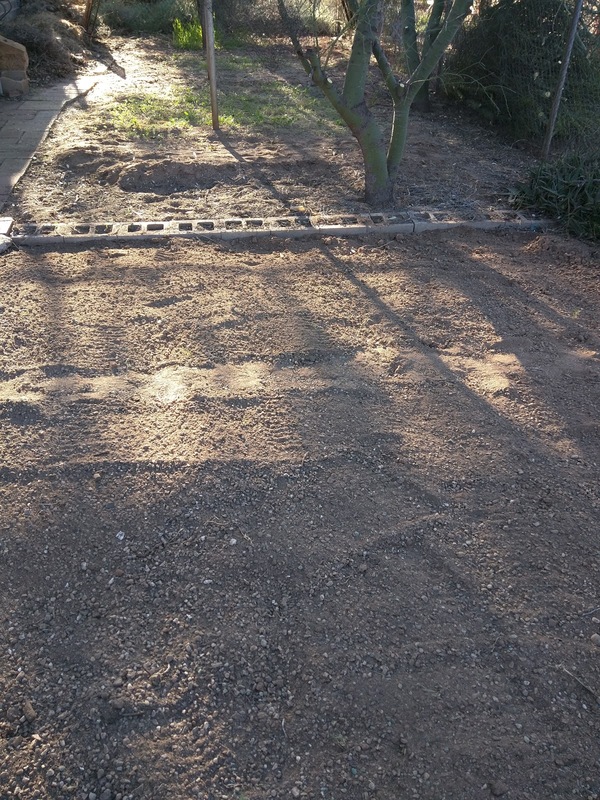 It was covered in gravel by the previous owner of the house and is sandy, rocky soil that gets a lot of sunlight. We figured that would be the perfect location for some amaranth, so we spent this weekend preparing our little plot to grow some weeds. We'll let you know how it turns out!